Both Dutch and French apple pies have a traditional crust. They're filled with spiced apples and have crumbly toppings. They even taste similar, so what's the difference? The major distinction between Dutch and French apple pie comes down to what's on the top. Dutch apple pie has a streusel-like topping with a crunchier texture. French apple pie tends to have a topping a bit more like sugary bread crumbs. French pie recipes call for less sugar overall, but the basic recipes for both are very similar. 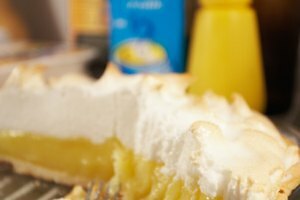 The slight differences in sugar content do, however, impact pie flavor. Dutch apple pie uses more brown sugar and therefore has a molasses flavor. Of course, you can vary any apple pie recipe. Country Living Magazine offers a version of Dutch apple pie that uses sour cream and eggs in the filling and adds walnuts, cinnamon and orange peel to the topping. Bottom line: there's no one way to make an incredible apple pie.